August 20th, 2015 | Moving Tips, Packing Tips. Whether you’re in the process of moving or your office is in the middle of a renovation, temporary storage is something to consider with all of your moving and storage options. It provides a safe place for you to store your belongings until it is convenient for you to finish moving. In general, there are two types of temporary storage: an on-site unit kept at a moving company’s facility and a portable unit that you can have delivered to your new home at a time that is best for you. Temporary storage can simplify your moving process. But haphazardly shoving things into boxes and dumping them into your unit could cause stress and frustration. Follow these steps to organize your packing and your unit. No matter if it’s a stationary unit or a portable unit, you want to select an appropriate size. A unit that is too big will end up costing more while a unit that is too small will make it difficult for you to fit everything. As a general rule of thumb, choose a unit that is a little bigger than what you actually need to help cut down on expense and stress. If choosing the right size seems a little daunting, talk with your moving company. 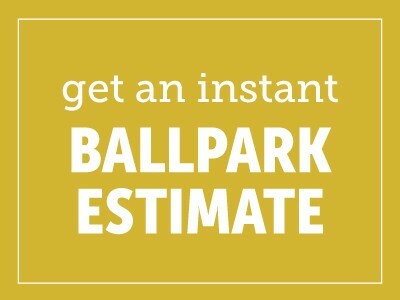 They can tell you approximately what size you will need based on what you plan to store. For example, furniture will take up more space than boxes of files, so your size decision will depend on what you need to temporarily store. Because this is temporary storage, you don’t need to worry about taking special care to prepare your things for a long-term stay. However, you still want to protect your belongings so they aren’t damaged. When packing your boxes, avoid stuffing too much in them or else the box might break. Invest in bubble wrap, furniture covers, and other packing materials to ensure your possessions arrive safely to the unit and then safely back to your home or office. To help with packing, defrost your fridge and freezer, drain your lawn mower and other machinery of fuel, and remove batteries from your devices. These extra precautions will keep your possessions safe. As you pack, remember to label your boxes so you know what’s in them. This will make it easier for you to locate items in your unit later on. You can save yourself some time by deciding which boxes you will need access to during the transition period and grouping them accordingly. Then, when you pack your car or truck, you can put the boxes that you want at the front of your unit and the ones you won’t need at the back. Remember to leave anything perishable or flammable out of your unit. Your moving company might have a few other restrictions on what you can store, so ask them if they have any specific regulations. Some companies might even pack and load your things for you. To make a temporary situation even easier, you can create a diagram showing where everything in your unit is. This will save you time if you need to get something from your unit before moving day. If you’re planning on keeping only some of your possessions in the unit, you can also make a list of everything you have in your unit so you know what’s there and what is still in your car, hotel room, or elsewhere. Take advantage of the convenience of temporary storage and the stress it will save you. By organizing and preparing your belongings, you will be able to save time and worry less. This will keep your possessions safe during a transition to a new home or a remodel at your office.